The trusted auto lender, Complete Auto Loans, share summer auto maintenance tips. The no credit check auto lender, Complete Auto Loans shares 7 steps to get your car road trip ready. With spring here and road tripping right around the corner now is the perfect time to get your car ready for the travel. The no credit check auto lender, Complete Auto Loans shares 7 steps to get your car road trip ready in their newest article. Sharing the 7 steps all drivers should take to get their car summer ready, Complete Auto Loans says, “During winter corrosion is likely to build up on the battery. Check the battery posts and cable to ensure you will have no problems.” Read the full article for all 7 tips from Complete Auto Loans. Complete Auto Loans also encourages shoppers to check their credit score. By using the complimentary credit score tool, shoppers have been able to save thousands of dollars on their loan. For more information check out Complete Auto Loans’ website. 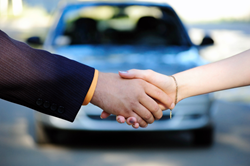 Complete Auto Loans is a Seattle-based company that is dedicated to helping customers acquire national car financing. They design and develop customized no credit financing, bad and good credit loans. Voted the best for "Quality Customer Service" and "Best National Service" by thousands of people, Complete Auto Loans finance experts focus on providing customers with the following: information and tools available for different loan offers, how to choose the best loan that fits the customers budget, as well as related eligibility guidelines.